Journal of Physics: Condensed Matter covers broad and diverse areas from soft condensed matter to nanostructures. Our Editorial Board therefore needs to reflect this, so it is the journal’s pleasure to introduce our new Board Members who joined the existing Advisory Board in 2015. Denis Basko is a researcher at CNRS in Grenoble, France. He received a diploma in Physics from the Moscow Institute of Physics and Technology and PhD in Physics from Scuola Normale Superiore in Pisa, Italy. He conducts research in various areas of condensed matter theory, including electronic and optical properties of nanostructures, disordered systems, and novel materials such as graphene or topological insulators. He also collaborates with several experimental groups. Annica Black-Schaffer is a tenured Associate Professor in the division of Materials Theory, Dept. of Physics and Astronomy, Uppsala University, Sweden. She holds a M.Sc. degree from Linköping University, Sweden, and received her PhD from Stanford University, California in 2009. After a postdoc stay at Nordita, the Nordic Institute for Theoretical Physics, she was awarded an Assistant Professor position from the Swedish Research Council and joined Uppsala University in 2011. Her current research focuses on superconductivity, topological states of matter, and Dirac materials. In 2014 she was awarded a Wallenberg Academy Fellowship for her work on topological superconductors. Shixua n Du is a Professor of Physics at the Institute of Physics (IoP), Chinese Academy of Sciences (CAS), China. She received her Bachelor Degree in Chemistry from Peking University, China, in 1992. After she received her PhD in Solid State Physics and Chemistry from Beijing Normal University, China, in 2002, she joined IoP, CAS in 2002 as an assistant professor and became a full Professor in 2009. She was awarded the Chinese Young Women in Science Fellowship in 2013 and the Outstanding Science and Technology Achievement Prize of the Chinese Academy of Sciences as a major contributor, for her significant achievement within the team for research on functional Nano-structures and the structures’ application in nano-devices. 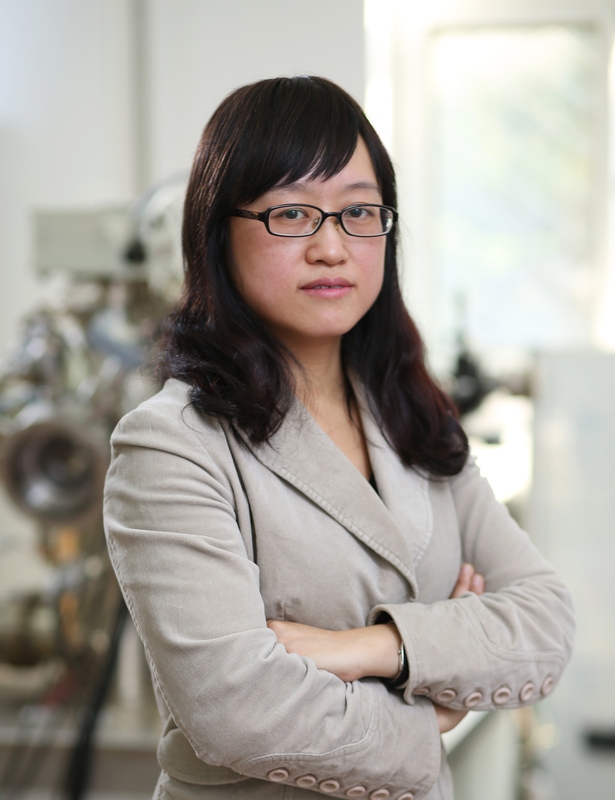 Her current research focuses on the fundamental questions in two-dimensional atomic crystals on metal substrates. She has published over 90 peer-reviewed articles including 5 in Physical Review Letters, 5 in Journal of the American Chemistry Society, 7 in Advanced Materials series, and 3 invited review articles. Thomas Frederiksen is an Ikerbasque Research Professor at the Donostia International Physics Center (DIPC). He obtained his PhD in Physics in 2007 from the Technical University of Denmark. The thesis concerned theory and simulation of inelastic electron transport in nanoscale systems. He then moved to the DIPC to carry out postdoctoral research and obtained an attractive 5-year fellowship “Fellow-Gipuzkoa” that allowed him to develop independent research lines and to integrate into the Basque science system. In 2012 he obtained a permanent position as Ikerbasque Research Professor. He has also been visiting professor at University of Toyama, Japan, and DTU Nanotech, Denmark. His research interests can broadly be described by quantum transport theory, electronic structure methods, and simulation of nanostructures and interfaces. More specifically, Thomas has worked theoretically in the fields of molecular electronics and scanning tunneling microscopy with a focus on current-induced phenomena such as phonon excitations in single-molecule junctions, local heating in nanoscale electronics, and adsorbate dynamics on surfaces triggered by inelastic tunneling electrons. The main computational tools are based on density functional theory and non-equilibrium Green’s functions. Thomas is one of the core developers of the open-source software project Inelastica which allows for atomistic simulations of vibrational spectra, electron-phonon couplings, electron scattering states, and inelastic signatures in current-voltage characteristics. Xinzheng Li is an Associate Professor at the School of Physics, Peking University. He received his PhD in 2008 from the Fritz-Haber Institute of the Max-Planck Society. After his post-doctoral research with Professor Angelos Michaelides at the London Centre for Nanotechnology, University College London ended in 2011, he joined Peking University, where he currently focuses on developing/applying methods, using concepts from quantum mechanics to statistical mechanics, for computer simulations of material properties. Using these methods, he studies several physical/chemical problems, including chemical reactions on surfaces, phase diagrams of hydrogen and water, electronic excitations in semiconductors and topological insulators. Je-Geun Park is a Professor at the Department of Physics & Astronomy at Seoul National University and Group Leader of the Emergent Phenomena Group at the Center for Correlated Electron Systems, Institute for Basic Science. Prior to taking his current posts, he was founding Director of the Center for Korean J-PARC Users at Seoul National University, and Professor and SKKU Fellow of Department of Physics at Sungkyunkwan University. He obtained B.Sc. & M.Sc. in Physics from Seoul National University and PhD in Physics from Imperial College, London. Awards and honours include SKKU Fellow of Sungkyunkwan University (2009) and Fellowship of the IOP (Institute of Physics) (2008), LG Yonam Fellowship (2007), and Rosalind Franklin Prize (1995). His personal research is focused on the physical properties of strongly correlated electron systems, in particular oxide materials.